Norman Y. Mineta San Jose Intl. - Luis Munoz Marin Intl. Beatiful Hotel My overall experience was excellent. 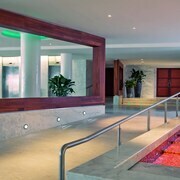 The pool is great, both for adults and children. Despite the devastation the island has experienced, the hotel has not missed a beat in their service and in the amenities they offer. 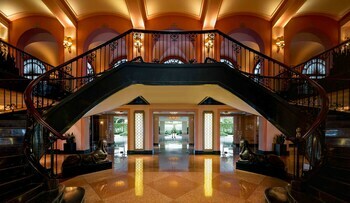 Great hotel if you are looking for a little R&R. 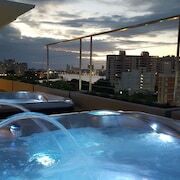 I loved everything about the hotel, the location is great and the fact that one can go and use the facilities at the Marriot close by is amazing ! Excellent hospitality! 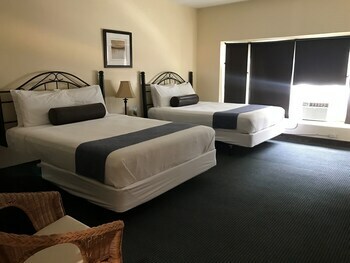 Beautiful views and comfortable room! Whether you're after a cheap and cheery hotel, budget flights or affordable ways to amuse yourself in San Juan, we've got your back! It's time to find out a few things about this fantastic vacation destination. San Juan is located about 2 miles from Catano and 4 miles from Levittown. Visitors to this part of Puerto Rico Island rub shoulders with about 420,000 residents. No matter the focus, museums are fantastic places to gain an insight into a destination's culture and history. 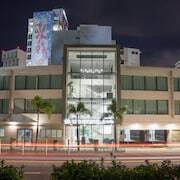 And what's best, the Museo de Arte e Historia de San Juan, the Felisa Rincon de Gautier Museum, the Museum of History, Anthropology and Art and the Museo De Arte De Bayamon don't charge entry fees! Frequenting arts and cultural events is an excellent way to get a sense of the local area. Peruse the programs at the Science Park and the Galeria Nacional to discover their cheap or free shows. Filling your travel itinerary with enjoyable activities is a piece of cake around this area. Swap unaffordable attractions for some cheap outdoor fun at Luis Munoz Marin Park and the San Juan Golf Academy and Driving Range. History doesn't just exist in journals or books — it's almost everywhere we look. Plan an excursion to some of the region's most intriguing and free time-honored attractions, including the San Juan Gate, La Fortaleza - Palacio de Santa Catalina, Alcaldia and the University of Puerto Rico. You won't need to spend hours trawling the web for the best deals on hotels, flights and getaway activities when you book with CheapTickets. We've sorted it out for you already! And we guarantee that cheap doesn't always mean nasty. With access to 500 airlines and more than 500,000 worldwide properties, you know that we'll offer you the finest deals around. But that's not all! If you combine your airfare and hotel bookings, you have the chance to save as much as $481. You come to CheapTickets for the most competitive bargains, and we make sure you score them with our Price Guarantee. If you end up discovering your package for a better price on another site within 48 hours of booking, we'll refund you the difference. There's nothing like the satisfaction of being rewarded for snagging a good deal. 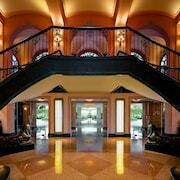 Our rewards program allows you to earn cash to use toward your next qualifying CheapTickets hotel stay. All you have to do is book those flights! You're only a few easy steps away from collecting savings on all eligible flights! Just log in or sign up for free, join our CheapCash loyalty program, and you'll also be first in line for exciting upcoming bonus offers and perks! We know you're fond of cheap, so why not get yourself a rental car in San Juan? It's not only the most convenient way of getting around, it'll save you a pretty penny too. Picking up a vehicle right at Luis Munoz Marin International Airport means that you don't have the stress of cabs and transfers. 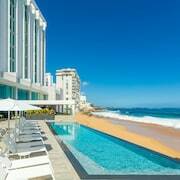 Mex Rent A Car is one good option here. Enterprise is also worth looking into. Get in touch with Enterprise and you'll be navigating the busy streets in no time. 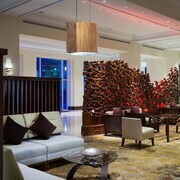 They are situated at Enterprise At Caribe Hilton, a mere 2 miles from the downtown area. CheapTickets can help you pick an affordable place to crash in this terrific destination. 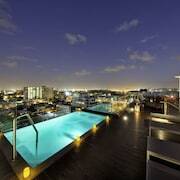 Right this moment, we list 79 hotels in San Juan. There's nothing as nice as the sound of coins clinking around in your pocket, right? 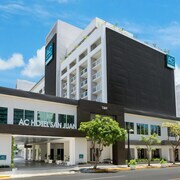 So make sure you take a peek at cheap accommodation options like the Comfort Inn San Juan and the San Juan International Hostel. 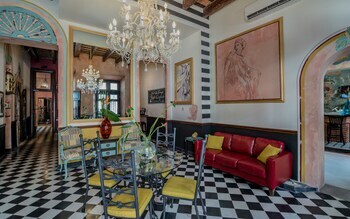 The Gallery Inn is the perfect option if you want to stay near San Juan Cathedral. Being just 0.2 miles away, you can walk there and back in minutes. If that's booked out, why not check out the Monastery Art Suites? It's only 0.1 miles away.